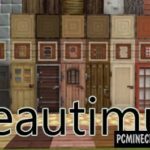 Before you a great resource pack right in the topic of weather and Autumn Season! 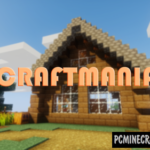 Feel the arrival of a bright and colorful autumn together with this resource pack! After installing it, all the plants, trees and other elements will gain autumn motifs, made in vanilla style. This is for avid lovers and fans of its minecraft! For those who want to seem more realistic. If you are one of these players, this pack is exactly like you!